Also known as Minoxidil, Rogaine is a hair loss solution that began life as a blood pressure medication. 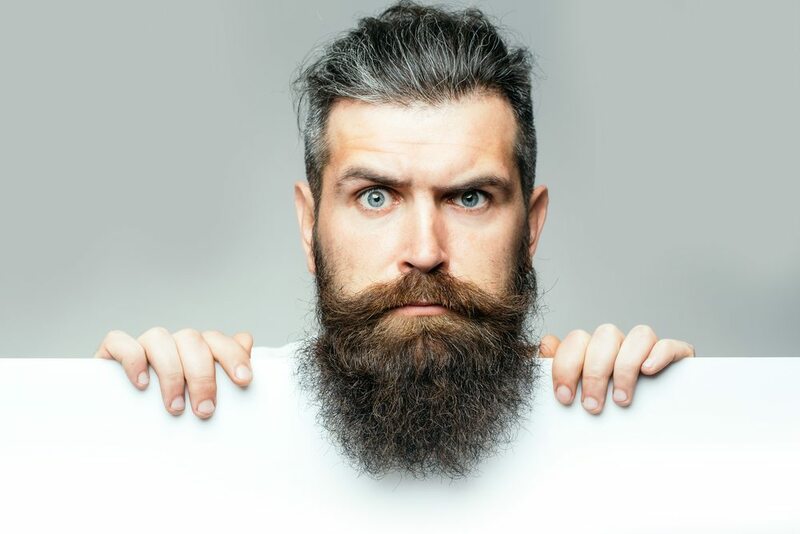 After noticing that patients started experiencing unwanted hair growth following taking Minoxidil, researchers began examining its use as a hair loss solution in the 80s. Today, scientists recognize it as an excellent treatment as a hair loss solution for those experiencing hereditary hair loss. Today, the FDA has approved the use of Rogaine/Minoxidil as a hair loss treatment. You can purchase it at 2% and 5% strength, with the 5% strength proving more useful for men. Rogaine is available in both liquid and foam form, which means you may be wondering which one will work best for you. In this article, we’ll explore whether foam or liquid Rogaine is the best hair loss treatment, why, and which hair lengths it works best on. By the end of our exploration, you’ll know which type is best to try for your androgenic hair loss. Rogaine Foam vs. Liquid Studies: Which One Works Best and Why? Both foam and liquid Rogaine are available in the strengths we mentioned above. One study from the Indian Journal of Dermatology demonstrates how each one works and why you may want to choose one formulation over the other. First, liquid rogaine comes with propylene glycol, water, and ethanol. Combined, these ingredients make it easier for Minoxidil to absorb into your scalp. As such, it has faster effects in both strengths. However, as the study also acknowledges, many people are sensitive to propylene glycol. If said sensitivity results in damage to the scalp, it ironically reduces how well you’ll absorb it. Recognizing this, scientists decided to create a foam solution which doesn’t rely on propylene glycol for absorption. However, there are no studies that examine the effects of foam vs. liquid on humans. But, one study focusing on animals published in the Journal of Pharmaceutical and Biomedical Analysis found that there are no differences regarding absorption or how fast hair grows as a result. As such, you can assume that foam rogaine will have the same hair growth results, with fewer side effects. The scientists from the first study believe that Rogaine’s liquid form may produce better hair growth results as a result of the damage it may cause to the scalp’s cells. By breaking through the cell wall and the epidermis, it stands a stronger chance of working through to the skin and increasing hair growth. As such, the one you choose may depend on whether the side effects you experience are intolerable. Other studies have focused on ease of use for the person trying to regrow their hair and perceived results. In said studies, foam Rogaine often ranks better, as achieving an even application is more straightforward, there is less dripping, and some claim that they experience more satisfying hair growth. However, as patient-reported studies, they don’t have a firm scientific basis. If you have long hair and you’re trying to choose between foam and liquid, you may want to consider the application logistics. While none of the studies states which preparation is better, you may find that liquid is more comfortable to use. As the last study we cited mentioned that some people prefer the foam preparation because it doesn’t drip everywhere, this could work to your advantage if your hair is long. Applying foam to your scalp relies on you being able to visualize where the preparation goes. If your hair is long, it may be easier to achieve an even distribution with liquid Rogaine. On the other side of the argument, if you have long hair and you want to style it in the morning, you may find that foam is easier to work with. It doesn’t take as long to soak in. If you want to have the best of both worlds, consider using a foam preparation in the morning for convenience and liquid in the evening to achieve even distribution. If you have short hair, you’re at an in-between point. Depending on how short your hair is, you may find that visualizing where you apply the foam is simple. This is especially the case if it’s thin and you can use a comb to part it, which will allow you to tackle each area of your scalp. For Rogaine to remain in its foam form, you need to ensure you aim the can downwards while applying it. We’ll cover best application practices later on. However, with this in mind, if you have hair that’s short but still thick and therefore your scalp is difficult to see while applying, stick to liquid. Otherwise, Rogaine foam is your best option. If you have no hair, the application process is straightforward. As we’ll cover below, successfully applying foam Rogaine requires a systematic approach. If you have no hair, you want even coverage, and you would like to avoid side effects, try using foam Rogaine over liquid. If you’re choosing Rogaine liquid over Rogaine foam, knowing how to apply, it maximizes your hair growth effects and reduces the risk of side effects. First of all, it’s important to note that you should avoid using Rogaine liquid alongside substances such as hair dye. If you do dye your hair, wait for 24 hours between doing so and applying Rogaine liquid. Keep your scalp and hair completely dry. This allows for maximum absorption. Apply the prescribed amount to your hair. If you have a lot of hair, make sure you spread the solution evenly for maximum results. Allow it to soak in for four hours. It’s for this reason that Rogaine liquid is usually best used at night. If you do want to wash your hair and dry it afterward, wait for four hours minimum. Blow Drying is especially likely to reduce its efficacy, so apply the same principles to other heat styling products too. If you do have some hair on your scalp, part it before starting. You can use sectioners from drug stores to section it off. Parting allows for an even application. Make sure you hold the can upside down. Failing to do so means the Rogaine foam will come out as a liquid. As the foam produce doesn’t contain propylene glycol, this will significantly reduce its efficacy. Apply the foam in sweeping motions. Do this from the front to the back of your head to avoid the mixture getting into your eyes. Massage the foam into your scalp. With a little massage, you’ll ensure most of the solution absorbs into the scalp, allowing for better results. If you do have a lot of scalp partings to make, don’t worry about taking breaks between each front-to-back motion. It’s better to ensure your arms stay ache-free and capable of a uniform distribution. Whether you’re using Rogaine foam or liquid, always wash your hands thoroughly after each application. You may also want to apply a barrier such as Vaseline on your forehead to reduce the risk of the solution coming into contact with your eyes. If it does fall into your eyes, stop what you’re doing and rinse them immediately. Discounts on repeat orders, if you choose to order them on a monthly basis. If you have Amazon Prime, you can choose next day delivery, allowing you to start your treatment regimen immediately. Amazon allows you to gain access to honest reviews, giving you the chance to choose a product based on other people’s successes. You can also use the company’s FAQ section to clear up unanswered queries. In short, no studies are confirming whether Rogaine Foam or Liquid is the most effective solution. However, what has been published so far suggests that the liquid form is cheaper and may result in faster absorption, but this absorption may come as a result of damage to your scalp’s follicles. If you have long hair or short hair with minimal loss, liquid may deliver evener results. Otherwise, the foam gives you better control over the process, with fewer side effects.